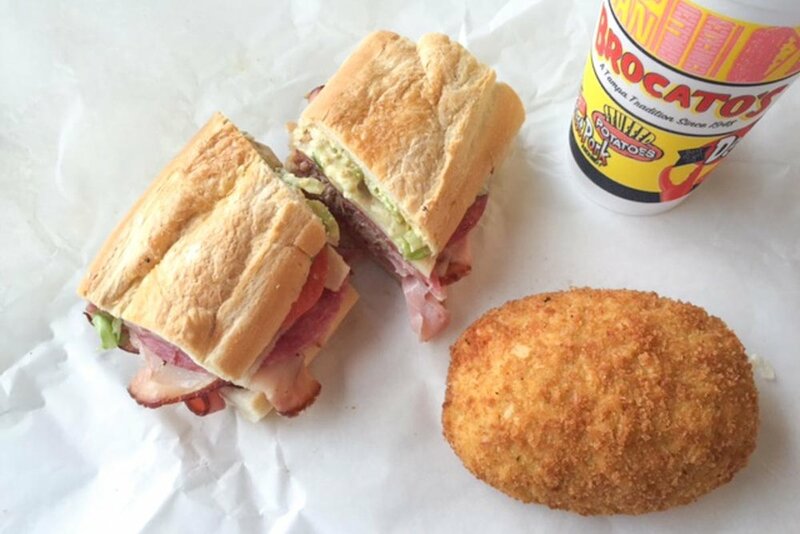 Cuban Sandwich at Arco Iris | Photo Credit: ©Find. Eat. Drink. Tampa has long been known for its strip joints and chain restaurants, but the soul of this west coast Florida city can be found it its Cuban history. In the early 1900s, Tampa was the cigar capital of the world. With more than 150 factories and workers hand-rolling over 500 million cigars each year, it outproduced Havana, Cuba. Some historians say this is where and when the Cuban sandwich was born as a snack for the cigar workers. In 2012, the Tampa City Council declared the Cuban Sandwich as the city’s signature sandwich (which has created a turf war with Miami who claims it as their invention, minus the salami). Start your day with hot, buttered Cuban bread and a strong, rich café con leche then move on to the classic Cuban sandwich or mojo roast pork. Though there are Cuban restaurants and bakeries around the city, make sure to walk around historic Ybor City, the epicenter of Cuban heritage, for lunch, pastries, and to buy a hand-rolled cigar. Arroz con pollo at Arco Iris | Photo Credit: ©Find. Eat. Drink. Arco Iris, Spanish for rainbow, is owned by Madelin and Jorge Gonzalez, both natives of Cuba. Chef Jorge came to Tampa via the Mariel boat lift in 1980 and Madelin moved with her family as a young child. They have owned two restaurants in the area, but recently had to close the larger one after thirty years in the same location, due to the landlord not renewing their lease. Stop by the smaller location for rice dishes, seafood, chicken, and traditional meats like carne asada and ropa vieja. This classic eatery began serving traditional Cuban fare in the late 1970s and received national attention when President Obama stopped in for a meal in 2013. In case you’re wondering what he ate, he ordered Honey Cuban sandwiches (the house specialty) along with two tripletas: sandwiches with pork, steak, and ham. They open their doors at 5am so you can start your day with a rich cafe con leche. 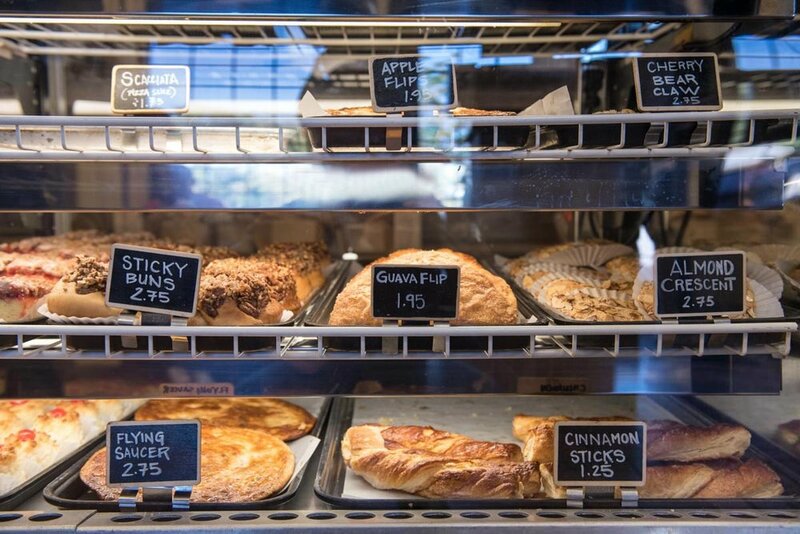 Pastry case at La Segunda Bakery | Photo Credit: ©Find. Eat. Drink. This Cuban bakery has a lot to brag about: they are the world’s largest producer of Cuban bread; they’ve been baking bread since 1915; and they continue to be run by the same family, now the 4th generation of the Moré family. In addition to the 18,000 loaves of Cuban bread baked daily, they also make Cuban sandwiches and Latin American pastries. This landmark eatery opened in 1948 and has earned a loyal following for their Cuban sandwich and devil crab, which is like a Cuban crab cake. The Columbia Restaurant | Photo Credit: ©Find. Eat. Drink. If you are looking for an iconic Tampa experience, this is the place. They opened in 1905, still family-owned, and are Florida's oldest restaurant and the largest Spanish restaurant in the world. The restaurant occupies an entire block in Ybor City with hand-painted ceramic tiles lining the walls and career waiters in old school jackets preparing dishes table-side. The food menu highlights both classic Spanish and Cuban dishes. The wine list shows off 1,056 bottles of their more than 50,000 bottles inventory, which includes their own house label, making it one of the largest private Spanish wine collections in the world. Expect a good blend of tourists and locals. 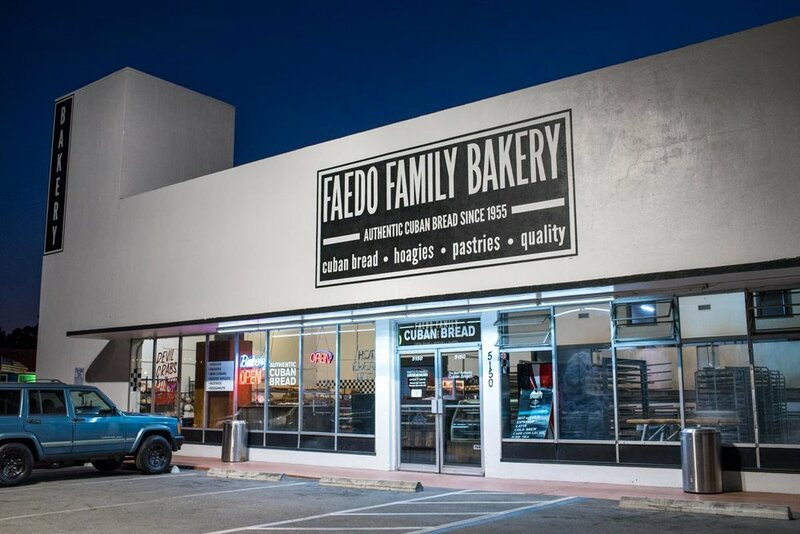 Stop in 24/7 to Faedo Family Bakery | Photo Credit: ©Find. Eat. Drink. You can stop by this Seminole Heights Cuban bakery 24/7. Since 1984, they have been baking fresh loaves of Cuban bread morning, noon, and night. You can also buy Cuban pastries, donuts, and sandwiches. During the day, you can take your pastry or bread next door to Spaddy’s Coffee to pair with a cortado or cafe con leche and sit in their courtyard. Buy a cigar to pair with a Cuban coffee or beer at the cigar bar King Corona | Photo Credit: ©Find. Eat. Drink. This cigar bar was originally opened by both the fourth and fifth generation of a cigar rolling family. Pick out a cigar from the long row of humidors inside, then sit outside along La Séptima (7th Avenue) in the heart of Ybor City. Hand-rolling cigars at Tabanero Cigars in Ybor City | Photo Credit: ©Find. Eat. Drink. Take home souvenir smokes from this small Ybor City storefront with Cuban workers hand-rolling 150 cigars per day. Come watch their breakneck speed artistry and leave with locally-made cigars.